We write on behalf of the Committee on Academic Freedom of the Middle East Studies Association (MESA) of North America to once again protest the continued arrests and prolonged prison sentences handed down to academics in Iran, both dual nationals and non-Iranians, and to warn of the grave implications that such mistreatments will have on academic exchange and collaborations between Iranian and foreign universities. We are deeply concerned about Iran’s persistently hostile treatment of numerous academics who have devoted their professional lives to research in important fields such as medicine, history, and conservation science. We have written to you before regarding Dr. Ahmadreza Djalali (see our letters of 6 February 2016, 25 October 2017, 21 December 2017, and 8 February 2018), a professor of disaster medicine, who was arrested by the security forces of Iran’s Ministry of Intelligence in April 2016 while visiting Iran to participate in a series of academic activities and see extended family. In October 2017, Dr. Djalali was sentenced to death on charges of espionage, and in February 2018 the Supreme Court upheld that decision. Many scholars from around the world and their academic institutions have expressed grave concerns regarding the capital sentence that has been handed down and upheld for Dr. Djalali. Since his arrest, Dr. Djalali’s health has sharply deteriorated, yet he has repeatedly been denied adequate medical care. We echo the calls of other members of the academic community requesting Dr. Djalali’s immediate release on medical parole given his extremely fragile condition. Another academic who has been unjustly arrested is Xiyue Wang, a doctoral candidate in History at Princeton University. We appealed for Mr. Wang’s release on 5 September 2018, as he is currently serving a ten-year sentence based on groundless convictions of “cooperating with foreign states against the Islamic Republic of Iran.” Since his arrest in August 2016, Mr. Wang’s health has also been deteriorating, compounded by the long separation from his wife and young son in the United States. The fact that Mr. Wang had secured a valid visa and research permit prior to his research visit to Iran for his doctoral dissertation on the Qajar Dynasty (1789-1924), with no credible evidence ever provided of his purported cooperation with any foreign states against Iranian interests, further highlights the arbitrary nature of his arrest, the miscarriage of justice and assault on his academic freedom. Arbitrary accusations of espionage have also marked the cases of eight environmentalists who have been detained in Iran’s Evin prison since January 2018. At their first trial, on 30 January 2019, these detainees, among them conservationist Niloufar Bayani, protested their mistreatment in prison and objected to their indictment, as it was solely based on forced confessions, which are not admissible evidence in Iranian courts. Ms. Bayani, who studied conservation biology in Canada and the United States, has since 2017 been applying her expertise to prevent the extinction of Iran’s critically endangered Asiatic cheetah and Persian leopard. The claim of the Islamic Revolutionary Guards that tracking these animals using camera traps—motion-activated devices—constitutes some form of security threat is extremely concerning as it demonstrates the misguided intentions of this state institution. The alarming mistreatment of her and her colleagues at the hands of state officials constitutes a serious deterrent to future efforts aimed at preserving Iran’s natural biodiversity. The arrests of academics have continued in Iran despite considerable domestic and international outcry. In early March 2019, another dual-national academic, who has taught at both the University of Tehran and the Catholic University of Leuven in Belgium, was arrested on “security charges.” Though his or her identity has not yet been released, this arrest follows the trend of recent arrests of academics falsely targeted with charges of espionage and threats to national security. Aside from the disastrous human costs, these arrests and egregious sentences undermine valuable academic collaboration between Iranian universities and their foreign counterparts. Indeed, following this most recent arrest, the Catholic University of Leuven broke its ties with the University of Tehran. This move prompted the chancellor of the University of Tehran, Mahmoud Nili Ahmadabadi, to submit a request to the Iranian judiciary urging it to take the necessary measures to avoid harming scientific ties between Iranian and foreign universities; he also publicly addressed the negative implications of ending “scientific collaborations” with foreign universities. 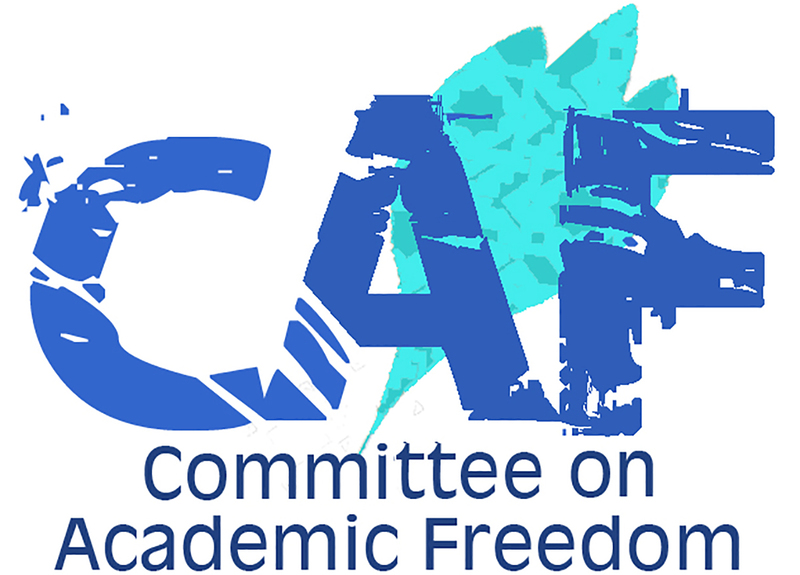 The Committee on Academic Freedom once again strongly objects to the worrying trend whereby academics, both dual nationals and those from Iranian and non-Iranian backgrounds, are targeted with harassment and arrest, and groundlessly accused of espionage or crimes against national security. Such continued abuses of academic freedom and freedom of expression by the Iranian authorities are direct violations of internationally and nationally recognized rights. Iran’s obligations as a state party to the International Covenant on Civil and Political Rights (ICCPR) include protecting the right to freedom of movement and residence, as well as the right to free speech and expression, while also guaranteeing fair trials and due process. The fact that Ms. Bayani and her colleagues were tried more than a year after their arrests and were reportedly forced into giving false confessions, with no access to an independent lawyer, are clear violations of their right to a free and fair trial. The UN Working Group on Arbitrary Detention has also condemned the arrests of Dr. Djalali and Mr. Wang, further emphasizing the arbitrary nature of their initial arrests, prolonged detention without charge, and eventual conviction and sentencing on the basis of groundless accusations. We urge you to ensure that the judiciary, especially the Revolutionary Courts, functions in a manner consistent with Iran’s national and international legal obligations. We also ask for the immediate release of Dr. Djalali, Mr. Wang, Ms. Bayani and her colleagues, all of whom have been under mental and physical duress throughout their prolonged imprisonments, and for you to ensure their safe return to their homes and families. Academic freedom and the free exchange of knowledge are essential to a better understanding of the world around us. The fact that an increasing number of European universities are ending their collaborative programs with Iranian universities in an effort to protect their scholars from arbitrary and unjust harassment at the hands of Iranian officials presents a major obstacle to the free exchange of knowledge that is of great value to all parties. Indeed, the pursuit of knowledge in academia is enhanced through collaborative environments that are free from intimidation, harassment, and violence. We urge you to encourage all relevant state institutions to take the necessary measures to foster such an environment, in hopes of ensuring scholars’ safety, and of re-establishing academic links that support the free movement of students and academics between countries.